For anyone into the sport of Flat Track motorcycle racing, the prestigious Harley-Davidson Sacramento Mile Race, or “SactoMile,” is a can’t miss stop on the American Flat Track circuit. Boasting a nearly 60 year heritage, this race will see the nation’s top pro riders within the category compete against one another on an intense white knuckle run that’s sure to have spectators glued to the action. Bullet Liner™, in concert with Harley-Davidson, is thrilled to be a sponsor of this iconic event coming to Northern California’s Cal Expo complex on May 20th, 2017. To add to the festivities, we will be giving away a FREE Bullet Liner truck bedliner spray application to a lucky winner who enters the contest at our Bullet Liner Tent in the SactoMile midway at Cal Expo. Complimentary gifts will also be given to everyone who enters the giveaway, while supplies last. If you’re planning to be in the Sacramento, California area next weekend, be sure to stop by and join the excitement! This is just a token of our appreciation and recognition for all of the loyal motorcycle race fans who know what it means to get in the mud, get dirty, and work and play hard. That’s always been a lifestyle mantra here at Bullet Liner. We believe that nothing should hold outdoor road warriors and competitors back from pushing their ride, or overall experience, to the max. And to equip your truck, trailer, bike, Jeep or ATV with the highest quality safety “shield,” Bullet Liner offers the High Caliber Protection of our protective spray coating to ensure that your vehicle stays in top shape for any adventure. Bullet Liner’s spray on bed liner sets the pace for anything that the road – and the elements – can throw your way. Our premium polyurea protectant is ideal for use on virtually any exposed surface that needs some extra TLC – and safeguards your vehicle against damage from scuffs, scratches, and even minor dents and dings that can quickly devalue your investment. It’s not a competition if you don’t exert your dirt toys to their ultimate limit – and Bullet Liner has you covered along the way. Enjoying a rough ride goes hand in hand with sustaining some inevitable wear and tear now and then, so it’s a good thing that our marquee truck bedliner innovation goes back three decades. This has enabled us to master a level of technology that has been proven and tested over the years – and which continues to evolve to this day. It’s our commitment to R&D that helps us to ensure our customers get the very best protection the market has to offer. Bullet Liner’s spray on protectant enables vehicle exteriors to withstand years of extra abuse – whether it’s from Mother Nature or the rigors of a tough competition, like the legendary Harley-Davidson Sacramento Mile. As part of our sponsorship of the upcoming event, Bullet Liner will also showcase a fully “Bullet-Lined” Harley-Davidson bike—tricked out and covered “head-to-toe” in premium elastomer spray on bed liner—in the Bullet Liner tent on race day in the midway. If you happen to be in the area, come check it out! For more information on Bullet Liner’s spray on protection, please visit www.BulletLiner.com. 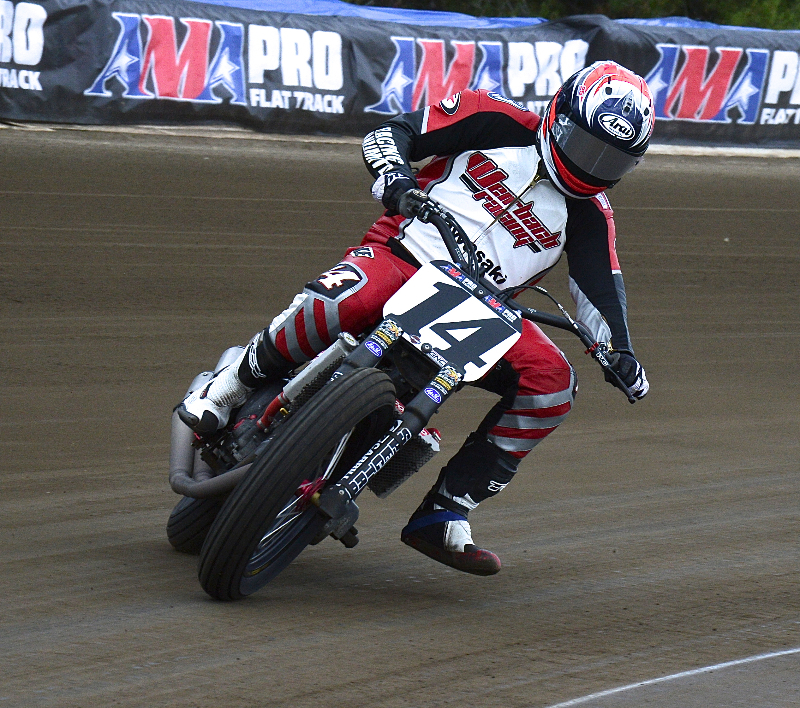 Tickets for the Sacramento Mile race are on sale now at www.Sactomile.com.